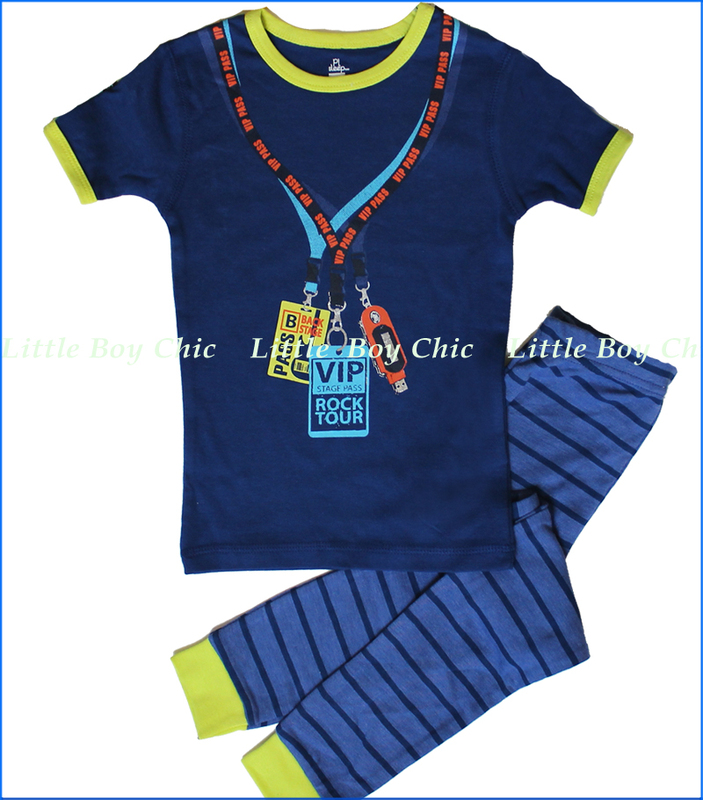 This fun PJ set looks so cool that he would love it for a sleepover. Screen printed top has silver foil detail. Bottoms have stripe print and elastic waistband. Contrast trims. Printed neck label with no tag to irritate. This garment is not flame resistant and should be worn snug.